If your evenings are chaotic like ours, this will be a game changer! 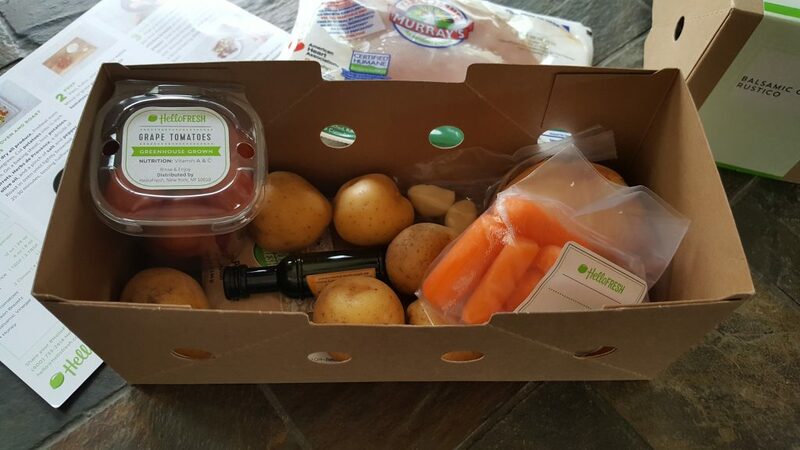 A few weeks ago I decided to take the plunge and try a meal delivery service. 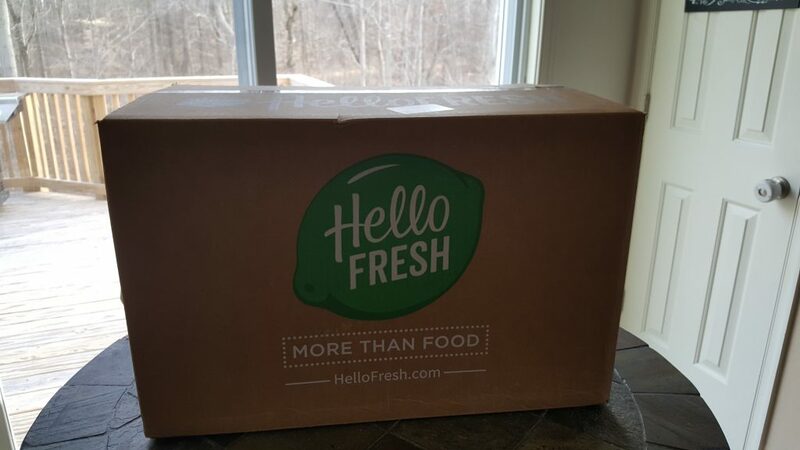 After a recommendation from a good friend, I decided on HelloFresh. I signed up on their web site (I believe you can also do so from their app) and it was super easy! I opted to try their Classic Plan – 4 meals for 2 people. Once I created my account, I was given 7 meals to choose from along with a few delivery dates for the following week. I made my selections and then I patiently waited for my delivery day! It arrived and the box was much larger (and heavier) than I expected. Here is what I found upon opening the box. It included a welcome note and then 4 meal cards (which I will talk about later). 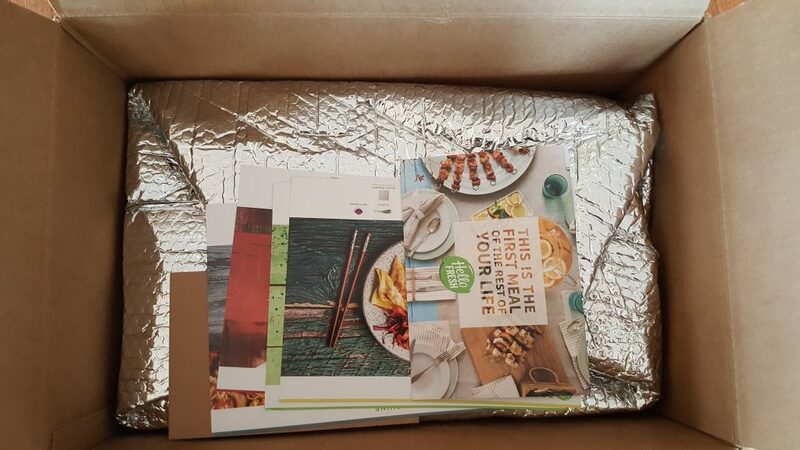 Once I opened the foil, I was surprised how cold everything still was after being in transit for a day. 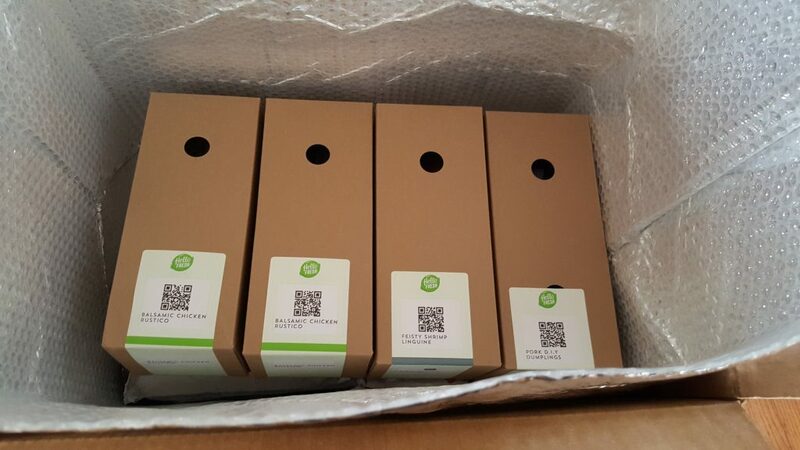 Inside I found 4 boxes labeled with each meal. Underneath those boxes was cardboard and a large ice pack hiding the meat for each meal. 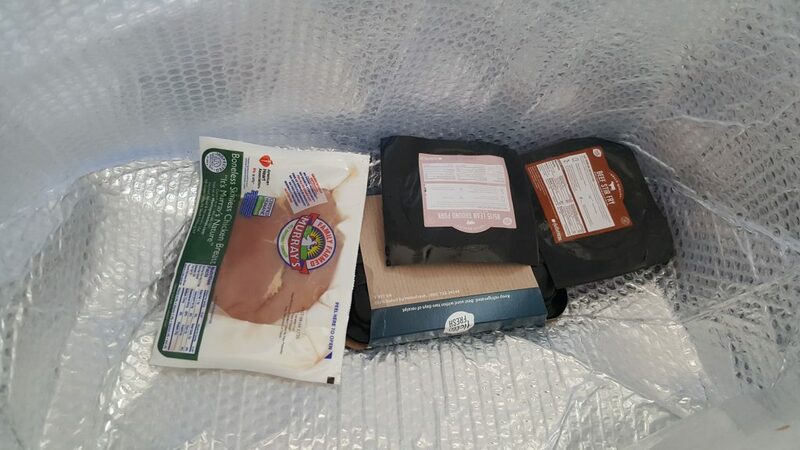 The ice pack was still completely frozen and the meats were cold so no need to worry about the meats going bad. 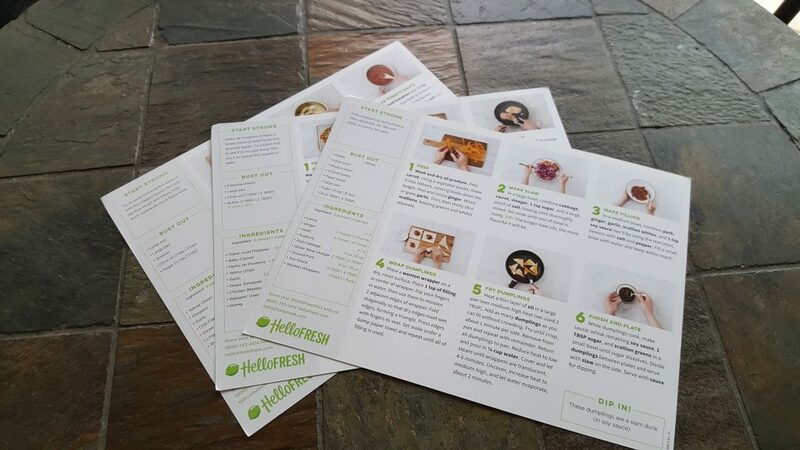 As I showed earlier, they provide you with recipe cards for each meal. To be honest with you, I’m a terrible cook and I was able to follow these instructions without any problems. The night we received our delivery, we decided to try the Balsamic Chicken Rustico. 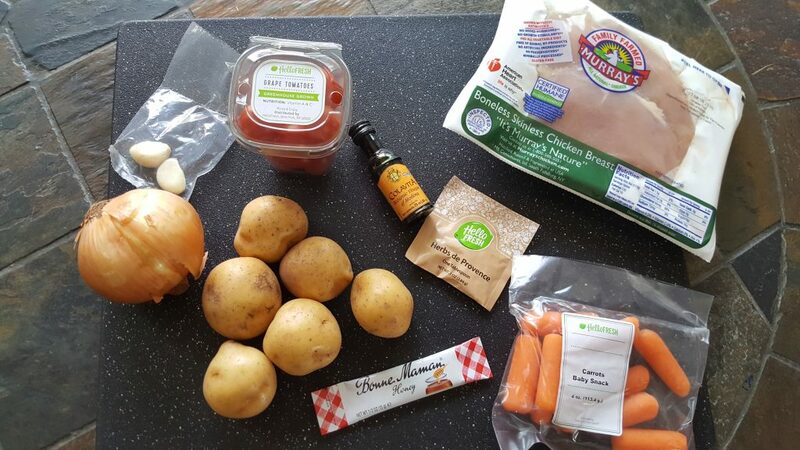 They give you all of the ingredients you need to make the meals with the exception of olive oil, salt & pepper. The meal took about 30-40 minutes from start to finish and was a huge hit at our dinner table! We tried the other meals throughout the week and liked 3 of the 4 so that’s a success for me! 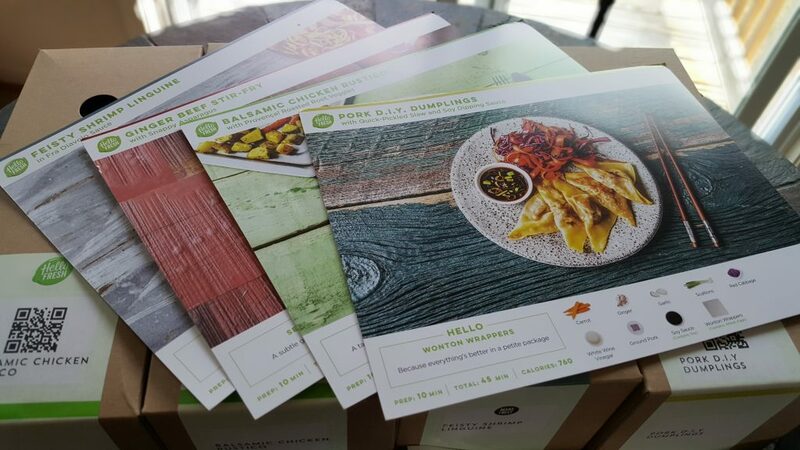 We have since continued our subscription at 3 meals per week because it fits our budget better. It works out to be like $10/meal per person. That’s cheaper than getting a pizza delivered! I just love how quick and easy this service is. Plus it takes the hastle out of meal planning and grocery shopping! I feel like it added time back to our crazy lives. 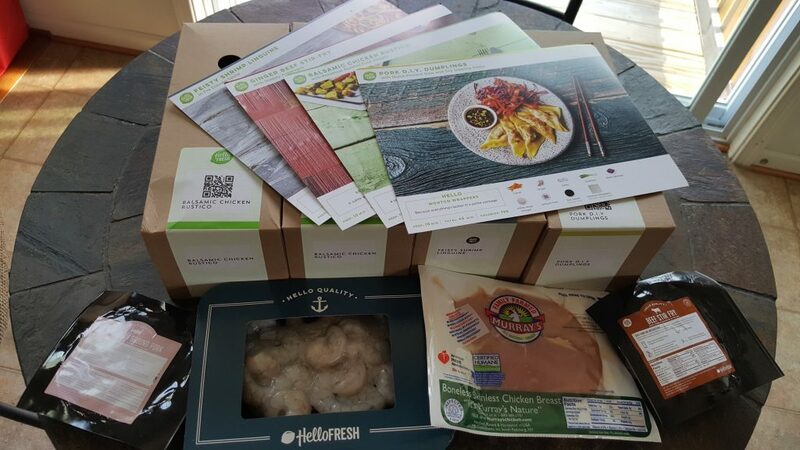 If your family is interested in trying out HelloFresh, you can get $40 off your first box by using the links in the post or by clicking here.